Click the button above or use this link to securely register at St. Bruno. Once you click the link it will download a file to your device. Open the file and complete all fields thoroughly so that we can serve you better. Once you have completed the form, click "Submit Form" at the bottom of the page. Our parish staff will receive your registration and will follow up with any questions or for more information, if necessary. Thank you for taking the time to register at St. Bruno - we are glad to have you! Click here for more information on Baptisms for children under the age of 7. For more information, please contact Emmarie Soto, Elementary & Junior High Coordinator at 562-947-5637. The Rite of Christian Initiation of Adults (RCIA) welcomes new members to the Church through faith formation centered on fostering a relationship with Jesus Christ, informing individuals about the Roman Catholic Faith tradition, and bringing them to receive the sacraments of Baptism, Confirmation, and Eucharist. This ministry is intended to serve un-baptized or baptized individuals who have never received any Christian instruction. RCIA will start on Tuesday, September 9, 2014 at 7:00pm in the Parish Center. For more information, please contact Gabe & Maria Saavedra at 562-693-7896. God bless you for choosing to celebrate your marriage in the Catholic Church. This choice is truly an expression of your faith in God and His Church. 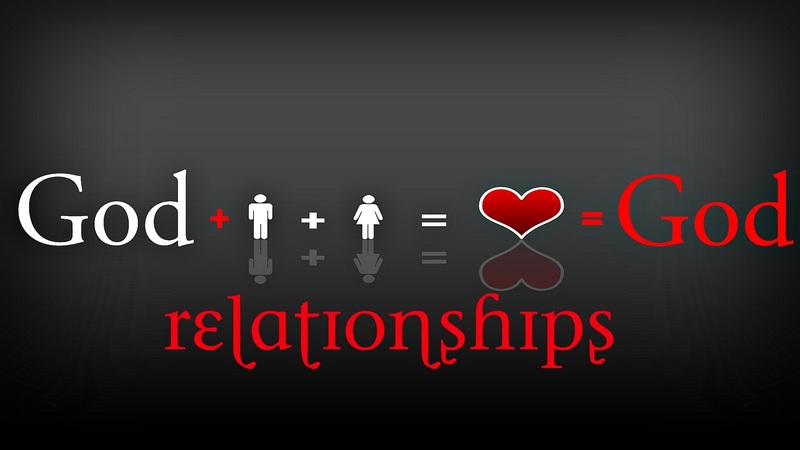 For Christians, marriage is a Sacrament of God’s love reflected in the love of a man and a woman as husband and wife. The sacrament of marriage gives spouses the grace to love one another as Christ loves the church. The Christian home is the place where children receive the first proclamation of the faith. For this reason the family home is rightly called “the domestic church”; a community of grace and prayer, a school of human virtues and of Christian charity. (Catechism of the Catholic Church No. 1666). Please remember that the Church is always a place of prayer. Be aware of this as you enter the church and if necessary, remind others to be quiet and respectful. Alcoholic beverages are not permitted in the church or in the parking lot under any circumstances. Your first step is to schedule a meeting with a priest or deacon by contacting the Parish Center at 562-947-5637. At this meeting the priest/deacon will explain the requirements for marriage in the Catholic Church, other important details, and your selection of a celebrant. Please remember that the Church is not a profit making organization, but Wedding fees apply. Please contact the Parish center at 562-947-5637. Before a wedding date can be placed in the St. Bruno Church official calendar, the $100 non-refundable deposit must be paid. This deposit is included in the wedding fee amount as previously discussed . Contact the church of your baptism and request an official copy of your baptismal certificate. A photo copy of the original will not be acceptable. Contact the church of your First Communion and Confirmation and request a copy of your certificates; photo copies are acceptable. Sworn statements from TWO witnesses for the bride and TWO for the groom, preferably parents, will be required. The proper Forms and details will be provided by the priest/deacon assisting you. A civil marriage license is required. The license is purchased at the Registrar Recorder’s Office,12400 Imperial Hwy., Norwalk, CA 90650; phone number (562) 462-2137. Make sure that you bring the original license, the duplicate copy and the pre-addressed envelope to the Parish Center two weeks prior to the celebration of the marriage. Engaged Encounter weekend or an approved equivalent is required for all couples getting married in the Catholic Church. Visit www.ceeofla.org or call 888-267-3660 for information about enrolling in your course. For more information, please contact the Parish Center at least 6 months before your intended marriage date at 562-947-5637. Father Robert Barron is the founder of Word on Fire Catholic Ministries, the Rector of Mundelein Seminary, and the host of CATHOLICISM, a groundbreaking, award winning documentary about the Catholic Faith. He received a Master's Degree in Philosophy from the Catholic University of America (1982) and a doctorate in Sacred Theology from the Institut Catholique de Paris (1992). He has published numerous books, essays, and articles on theology and the spiritual life. He has also appeared on several media outlets including NBC, PBS, FOX News, CNN, and EWTN. His website, WordOnFire.org, has reached over 3.8 million people and his weekly YouTube videos have been viewed over nine million times. His pioneering work in evangelizing through the new media led Cardinal Francis George, Archbishop of Chicago, to describe him as “one of the Church's best messengers." For more information, please contact the Parish Center at 562-947-5637. Please contact the Parish Center at 562-947-5637.